Often we are contacted by Utica Shale and Marcellus Shale Landowners who are at the conclusion of the oil and gas leasing process and are looking for an experienced Oil and Gas Lease lawyer to conduct a final review of their leasing documents. These Landowners may be satisfied with the general terms of their Oil and Gas Lease, but seek the comfort of having their Oil and Gas Lease reviewed with an experienced lawyer in oil and gas law. The Clark Law Firm, PC offers a “Final Lease Review” and an in–person or detailed telephone conference to any Landowners seeking the security of reviewing their gas lease, pipeline agreement or other contract with an experienced attorney working for you, the Landowner. Prior to signing, every Landowners must understand the intricate and complicated terms of their Oil and Gas Lease and how it may impact their lives and property for many decades or even generations. This Final Oil and Gas Lease Review is also a valuable asset to the Landowner in that Doug takes this opportunity to educate the Landowner on lease terms and addendum provisions that may be available but are not included in their particular gas lease offer. Remember, our goal is to educate and protect Pennsylvania’s Landowners. suggestions and recommendations regarding execution of the offered documents. If you are on the verge of signing an Oil and Gas Lease, Pipeline Right‐of‐Way Agreement, or other company offered contract, contact The Clark Law Firm, PC today for a detailed review of your offer. Do not sign any agreement with a gas or pipeline company without have a final review by Attorney Doug Clark. Doug is Pennsylvania’s Landowner Lawyer and will make sure that you fully understand the final documents and discuss whether you may be leaving compensation or important property protection terms on the table. 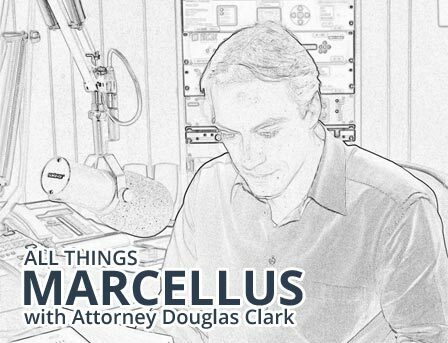 Do not sign any natural gas agreement before speaking with Attorney Doug Clark. Call us today, we are here to help you! We recommend Clark Law services to landowners involved in oil and gas leases and look forward to continuing our successful relationship with you firm.